I hope to see a world where people live in love with each other. Where dialoguing processes are instrumental in resolving dispute as opposed to war threat. A world where everyone is working together to improve its global economy and collectively working to strengthen the human race. A world where the strong offers to lift the weak out of its poverty without having ulterior motives. This is a world I believe will work for everyone, a world built on love for the human race. I see marginalization as the most pressing problem facing the world today. For the reason being that, some people have ignored the fact that some other people have vital roles to play in making the world a better place for all. I believe most of the popular issues arises from this in-depth problem. Take for an example, the fact that close to half of the world population is poor and a large amount of this number is from a particular continent or that this same continent accounts for the highest mortality and maternity rate, poor basic education and the likes. And we have world leaders threatening to stop the support and efforts their predecessors has offered to this people and other regions. This is a pressing problem and if it must be solved, we have to start seeing ourselves as one people and develop a global partnership for development. I am not suggesting hat this countries be gifted money, I am saying that they should be assisted in improving their lives. It can be with leadership capacity, skills training, intervention programs targeted at not only improving their current state of living, but also equipping them to sustain this development – this is very crucial. Because, what we have seen is the introduction of new programs and the lack of its sustenance, due to the gap in the needed human capital to maintain these programs when the initiators has hands off. My name is Tega Oghenegweke popularly dubbed ‘D Innovator,’ because of my exceptional skills in R&D, problem solving, leadership, product development, innovation, and strategic planning. I am the second child of a family of four children. I had my primary and secondary education in Lagos, Nigeria and my tertiary education in the south western state of Oyo. I went to a boarding school for my secondary education. This experience help shape my life; because, I learned independency, survival, and planning during the course of my study. As a result of my little travelling, I am proficient in English, Igbo, and Yoruba language. I am a “tech-preneur” and a graduate of mechanical engineering who is passionate about technology and leadership, and their effect on the lives of the people. In this regard, I have committed myself to the study of leadership and technological innovations, their utilization for the benefits of mankind. As a “tech-preneur,” I have founded and co-founded tech startups that has help impact lives positively through the value they provide to the users and the jobs they create. 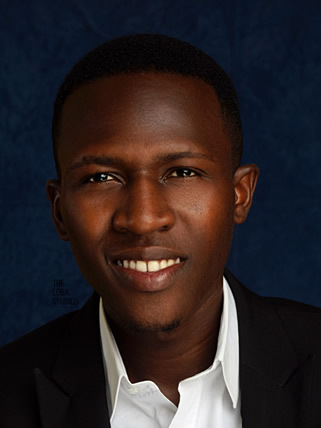 I co-founded Techit, a company using virtual and augmented reality technology to improve education in Nigeria. Additionally, I founded a company called Emlop NG, with the mission to help tackle the problem of lack of skilled labour in Nigeria by organising workshops, seminars, conferences and the likes, where participants can learn from world experts. Also of recent, being an addictive learner, I started a platform on YouTube where I share my experience and that of others to hundreds of viewers across nations. I am a strong believer in equity, justice and transparency which is why I have joined in the process at various levels to fight against bad governance in my home country. I joined the 2013 protest against removal of fuel subsidy In Lagos, saying that if subsidies be removed, government must find a way that it will not lead to further impoverishment of the people. Also, as a student, I have supported protest against hike in school fees, drop in the quality of education, and misappropriation of school funds amongst others. I am pro feminism, I believe women deserve equal right as men, and women should not be denied any privileges enjoyed by their male counterpart. I am someone who is passionate about reading and books, with a goal to own the largest personal library in the world. I believe readers are leaders. And the level a man will reach in life will be determined by how well he has studied. That is why I get my self inspired by the likes of Napoleon Hill, Dale Carnegie, John C. Maxwell, Robert T. Kiyosaki, Russel H. Cronwell, George S. Clason, Theodore Roosevelt, Nelson Mandela just to mention a few. I love good music, movies, travelling, and trying out new food. I pride myself as someone who can eat any food edible by people. I believe in a future where mankind would work together for the collective good of all, putting prejudices aside and facing our common enemies with one voice and strength.